OG Compound | Pro Chem, Inc.
OG COMPOUND is a dark black, organo-clay compound, formulated for heavy industrial applications. It is designed mainly for the open gear application, but because of its extreme tackiness and extreme pressure characteristics lends itself to many different applications. It is made from mid-continent refined base oils and organo-clay gelling agents. 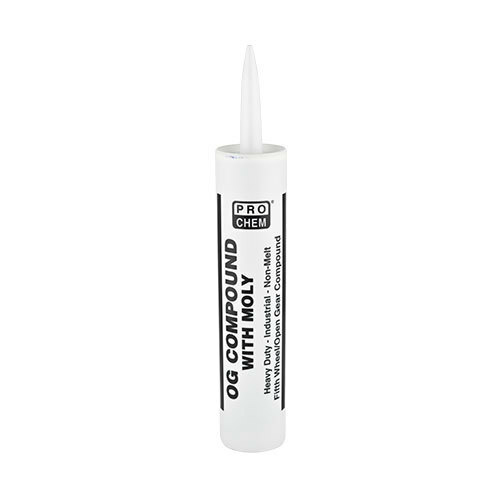 This excellent compound is formulated with sub-micron size molybdenum disulfide. 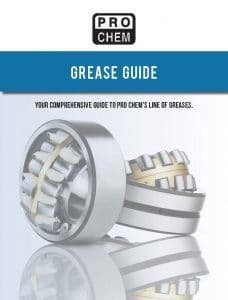 It is fortified with extreme pressure additives, anticorrosion and antioxidation inhibitors, and tackifiers to provide excellent lubrication properties and anti-wear protection to metal surfaces. These additives also provide for a very stable compound. Pump in OG Compound until all old lubricant comes out.